– Operation Breakout ended and all missions are now expired. – Players on the same LAN as a community game server can now connect to it directly using LAN-internal IP addresses. – Fixed client connectivity issues to community GOTV relay chains. 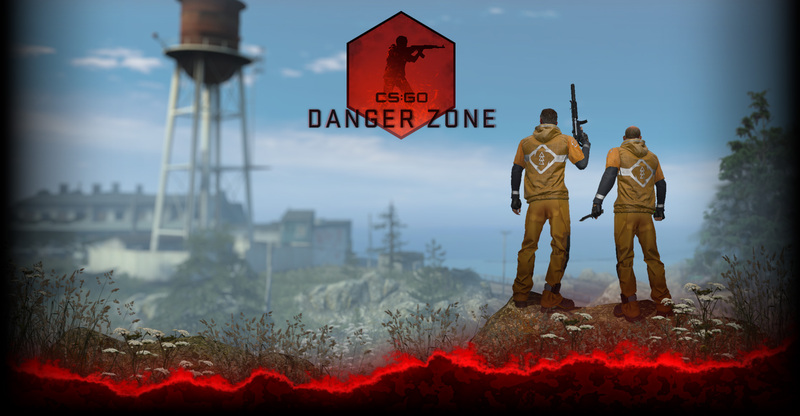 – Community servers will now reload the map and game rules when the first player joins after server hibernation. – Fixed incorrect networking of some values including StatTrak counters from Linux dedicated servers. – Friends who are trying to join a game invite to an official non-competitive game that is full will receive the corresponding message in main menu. – Fixed CS:GO match sharing links to work even if the game is already running when they are clicked. – Friends playing on competitive community servers will now correctly show community status on the in-game friends list. – Fixed rich presence and join status for friends who are watching Overwatch evidence or demo replays. – Restored functionality of several menu items in the pause menu. – The “COUNTRY” section in the Buy Menu now shows flag images. – Renamed MOVEMENT to MOBILITY in the Buy Menu. – Added the raw movement value to the MOBILITY section in the Buy Menu. – Tagging (movement slowdown when hit) has changed. — Tagging is now slightly cumulative. Damaging someone in quick succession will apply slightly more tagging and slow them down more (to a point). — Your currently held weapon now determines how much you are tagged when getting hit. How much you are tagged depends on the weapon’s “Mobility” value. The higher the Mobility value, the less you will get tagged when hit. — Unified tagging values when shooting people in different parts of the body. — Players now get tagged slightly (based on the weapon they’re holding) when they take HE blast damage. — All weapons have updated tagging values. – All SMGs now have ~20% more armor penetration. – Some movement affecting server values have changed (sv_stopspeed increased to 80, sv_accelerate decreased to 5.5, sv_friction increased to 5.2). – Fixed players getting stopped by teammate’s “in flight” grenades. – Players who are hit by grenades “in flight” that were thrown by the other team now take a small amount of impact damage. – Slightly increased size and contrast of most impact decals to increase impact readability. – Impact and blood particle effects have changed slightly to improve impact readability. – Custom maps can now spawn HE grenade projectiles using class hegrenade_projectile. — Extended functionality of Instancing – Collapse. Now allows to collapse recursively or not. – demoinfogo has been updated. It now parses and dumps out string tables, data/send tables, and PacketEntities.